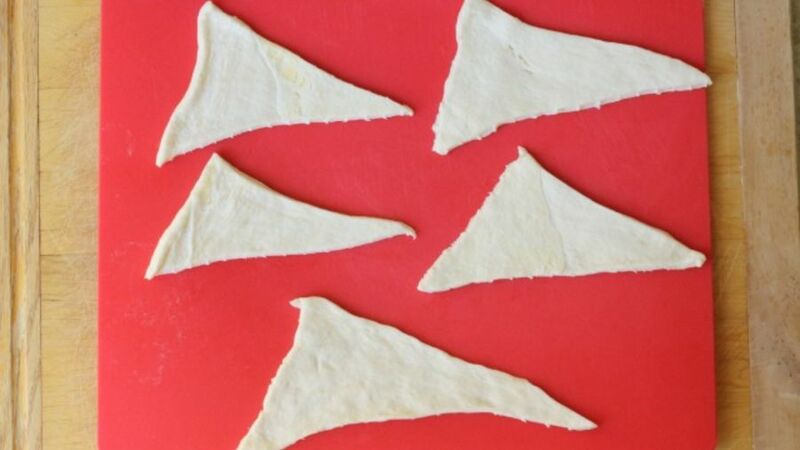 Stretch the dough over a surface dusted with flour, and separate the portions into triangles. 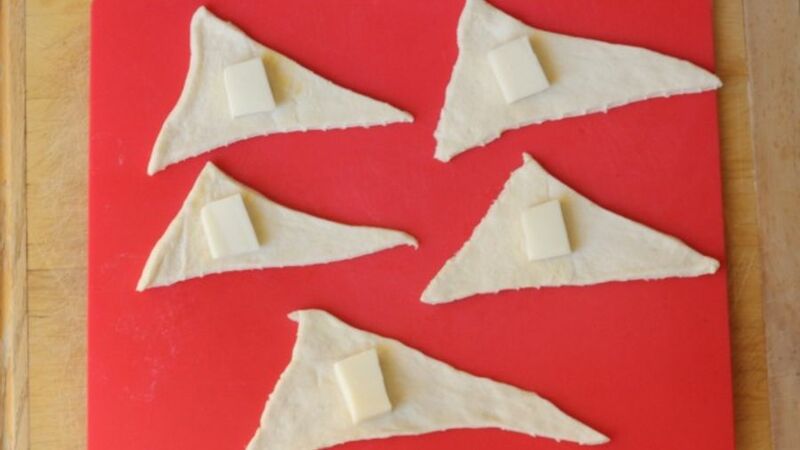 Put a piece of cheese in the middle of each triangle. Then, cover the cheese with some jam. 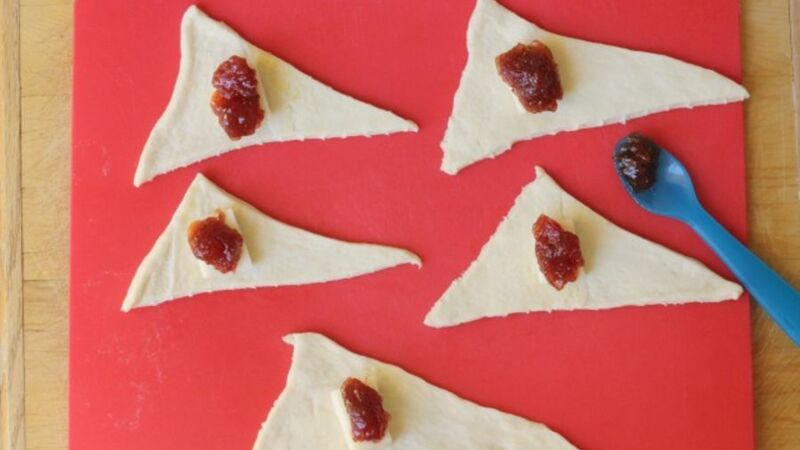 Roll the dough until each piece of bread is closed. 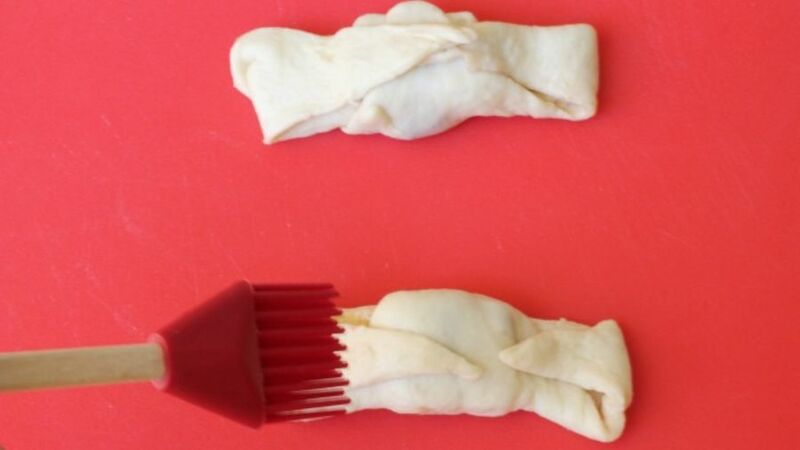 Place the pieces of bread on a baking tray and brush them with the beaten egg. Bake for about 10 minutes or until the bread is golden. Prepare extra portions of stuffed bread and keep them in the freezer so you can bake them whenever you’re craving this snack. Usually, I prepare this stuffed breads with jam so I can eat them as a snack, and sometimes even for breakfast. Right after my daughter finishes school, the smell of freshly baked bread fills the kitchen, and everyone tries to guess what the stuffing in the bread is. 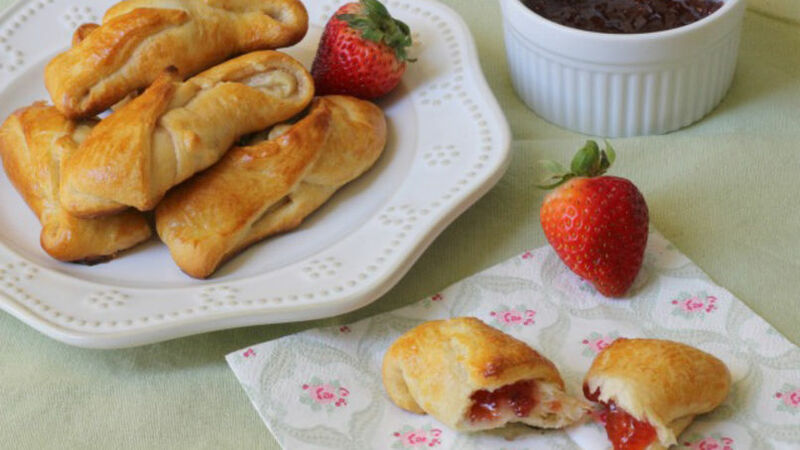 We love the combo of strawberry jam and cheese. You can have it with orange juice or a nice cup of coffee. What would you eat it with?